Has been voted for and will begin next season. Insanely a lot of the inputed money will be wasted in making Clubs full time, meaning Gate Prices will remain sky high. Opening up the 3rd Division to new Clubs is a great idea. Come on The Lie ! I wid guess Auchinleck Talbot will be ready for the big step up. I wid guess Auchinleck Talbot will be ready for big step up. I saw Auchinleck on Saturday and I don't think they'd have any problems playing in the Third Division. Not sure many junior clubs would want to step up? I remember attending a Clyde 1 forum evening at Pollok and that was the general opinion of the guys in charge there. Wonder how long it will take for a Club similar in size to us , fall through the trapdoor into the Lowland League. Milne's Aberdeen relegated to the Highland League wid be Heart Attack Hysterical. Seen the junior cup final don't think any current 3rd Div sides need to worry. Seen better pub teams than the elite two playing last Sunday. So we get to keep the League cup then? 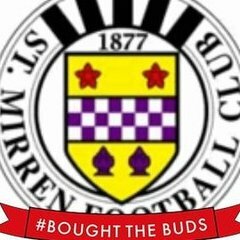 The SFA said they have 27 clubs interested in competing in the new set up, not all of them will be junior teams but I'd imagine there must be quite a few who at least want to hear details. 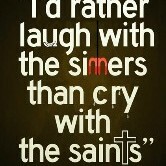 This - absolutely. Why would any big Junior club want to lose their powerful status within the Junior League set up to become a toothless bit player in the lower leagues of the Scottish Professional Football League? It's an absolute fallacy to assume that those clubs, their supporters, and their committees see the senior leagues as their zenith. The news today is a disaster for Scottish Football. The only positive is that we now have one less body f**king up the game, but even that's mooted by the fact that the body doing the takeover is probably the least competent and most corrupted by money of the lot. The games customers don't get anything they want. No expanded leagues, no more variation in opposition, no prospect of lower gate prices or even of better financial management by the financially failing teams in the top flight. It's about as pish as it gets - and all because the clubs in the top two divisions decided they would force through the change with a series of financial threats aimed at the clubs at the bottom of the 42.
what about queens park, are they allowed in to the professional league.just a pity the lowland league didn't happen when sevco went bust . Ironic coming from a Tory. Whilst the issues you highlight are correct I suppose it depends on which way you look at things as to whether the changes are positive, negative or simply change for the sake of change. One league body is sensible and at least on the face of it puts to bed the lunacy of the SPL as a separate self serving entity out with the reach of the rest of Scottish football. As for the pyramid system...I think there will need to be further streamlining...potentially regional leagues even from below the second tier which would help combat the issue of big junior clubs not wanting to be involved. With all due respect to the other senior clubs how big an interest and travelling support is there in an Elgin vs Stranraer fixture? Whilst if on merit and with the proper finincial model Ross County and ICT have provided a benchmark for any aspiring 'new' club surely competitive regional leagues feeding into the then streamlined top two leagues would be a better way forward and would allow for continued local rivalry and save on travel costs etc? Clearly this is only my suggestion, but it is what is theoretically then going to happen below the 4 tier and with time i it becomes a success I think it would be beneficial to extend it higher up the ranks to encompass a significant proportion of the clubs happy to presently sit in the second and third divisions with no real ambition of professing beyond their current level. At present these clubs are not going to vote for much that will affect their stability and this is clearly their right but I do think that the changes that will come into place could be the first stepping stone to the scenario I think would best suit our national game. With this increased localisation of the game at lower levels there would hopefully be more room to nurture local young talent benefiting the game as a whole. So after that waffle…it depends on perspective and your outlook on life in general I suppose, but a small step in the right direction and a lot of room for improvement is how I would summarise things rather than "Its about as pish as it gets". As for the pyramid system...I think there will need to be further streamlining...potentially regional leagues even from below the second tier which would help combat the issue of big junior clubs not wanting to be involved. With all due respect to the other senior clubs how big an interest and travelling support is there in an Elgin vs Stranraer fixture? The problem is whilst people at SPL/D1 level talk about regionalising the lower leagues there is little desire from the clubs to do so as they see regional leagues as a marginalising the wee teams and there is more 'prestige' in a national league if you understand. 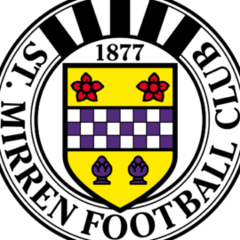 The junior clubs regionalise into 3- West/East/North because the simply North/South Highland and Lowland league can mean big trips due to spread of clubs- it is possible that an Alloa would be travelling to Elgin in the North or even Cowdenbeath to Stranraer in the South for 2 examples. Correct on the juniors- although some have expressed interest many haven't. Auchinleck may well be happy to play only 22 game and games at Cumnock, Beith, Irvine rather than head into a 36 game setup with longer trips. It is however right that the football league is not a closed shop at the bottom. People deride 'franchise football' but what option is there in Scotland if you want to get into the leagues- not like you could work up whilst clubs like East Stirling scrape along in place 42 every year. As for the other stuff- depends on your opinion on what the customer wants and what is achievable. I think we have a better league set-up today than we did yesterday, we've taken a layer of bureaucracy away, we've got a decent league format most are agreeable on and we've balanced the money better from top to bottom. It's not perfect but it is a start. I don't see why the changes can be seen as disastrous. Back when our chairman knocked back the 8-8-8 proposal there was talk of cherry picking and y it couldn't b done but that's exactly what has happened. And it's only a first step. A lot of the clubs were cautious about the previous 8-8-8 proposals because it seemed like they were trying to go from A-E instead of A-C-E or even A-B-C-D-E. the point being, this is hopefully the first of many cherry picking steps. No chairman of an ambitious club, juniors or otherwise, will pass up the opportunity to join this league for the chance of doing an ICT. Once a couple of big Junior clubs join they'll all want in. Brace yourself, Oaky! I agree totally. Might take a wee while but it would show a complete absence of ambition to sit where they are. I remember when the top junior clubs used to shout foul continuosly because they couldn't progress to senior football. But beware. Stu never gets anything wrong. Have you noticed? I totally agree with your point about the prestige of the senior game and the fact teams in the 3rd division in particular won't want to vote for a more regionalised system however my point is for a good bit further down the line when these changes have bedded in. Clearly 5 or 6 of the clubs in the SFL didn't want this change and I can only presume but I would imagine an open trap door at the bottom was a major stumbling point for these clubs. Perhaps encompassing larger national leagues later down the line would be the way to go allowing regionalisation to a point allowing for ambitious clubs to flourish whilst allowing traditional senior clubs without that ambition the opportunity to maintain their current position or try to develop themselves further. By this I mean in terms of youth development and cementing their clubs further into the local community rather than relying on a social club and a handful of supporters to allow them to simply tread water year after year. ....and did you see east Stirling the past season? Whether the junior teams play good football or not is beside the point - they are bigger and stronger than the 3rd div teams who are full of young players that have been released by bigger clubs. From what I seen the players in the juniors were certainly "bigger"
Junior football pays more than third division with one dishonourable exception. Its not to hard to get a gig at the likes of clyde, Albion rovers, etc. The proposed merger between the Scottish Premier League and the Scottish Football League is in doubt. Representatives of all 42 clubs gathered at Hampden on Thursday but there has been no meeting involving all parties. The delay centres on the SFL board's request for more financial information about the new league set up. It is understood all parties could meet later and those involved hope that a resolution can be found. The SPL and SFL were expected to form a new Scottish Professional Football League. A revised financial distribution model would be introduced, feeding more money into the second tier. The league structure would remain the same, with a top flight of 12 and three lower divisions of 10. SPL clubs had already unanimously agreed on a package of measures that would deliver a merged league body for the new campaign and play-offs between the top league and the second tier. There had been dissenting voices from Second and Third Division clubs but 23 of the 29 clubs voting backed the plan for restructuring. A minimum of 22 votes was required, while Third Division champions Rangers did not get a say as they remain associate members having joined last summer. Earlier plans for a 12-12-18 divisional set-up were jettisoned in April after the model failed to get the 11-1 majority backing required from the 12 SPL clubs. Speaking before heading into Hampden on Thursday, Annan chairman Henry McClelland said: "Today is one of significant history in the game. Everyone's saying it's for the good of the game we move forward, well, we'll judge that in a few years time I think. "Small clubs like Annan Athletic, we're going to be put into financial difficulty because of this merger. "That's quite clear: the best case scenario is that clubs like ours will be no worse off. That can't be right, this whole exercise with regard to the financial element is clubs like Annan and the bottom eight are going to be put under financial stress." I was out at Hampden today, as usual, using it as a good meeting place to meet my mate Michael and have a chinwag over a caffeine fix in the museum cafe. We noticed all the BBC and Sky vans outside. Chief BBC football reporter Chris McLaughlin and his punchable pouting lipped baldy pus' was in the cafe with Sky TV's spluttering buffoon Charles Paterson. Billy Stark was there once more too - last time we were in, we bumped into him. Won't repeat what Starky had to say today about over-spending clubs and the endless 'reconstruction talks' - suffice to say, Stark has went even further up in my estimation than he already was. We left one of our cars at Hampden and headed off for a close season lunch meet-up in the West End. Returned to Hampden three hours later, and Paterson was standing in the car park doing a piece to camera. Think he was on 'Take 25' as he kept fluffing his lines. There was no sign of Chris McLaughlin and his unfeasably large spectacles perched on his baldy nodding bonce. They should have asked Michael and myself into their meeting. We'd have league reconstruction done in time for supper.